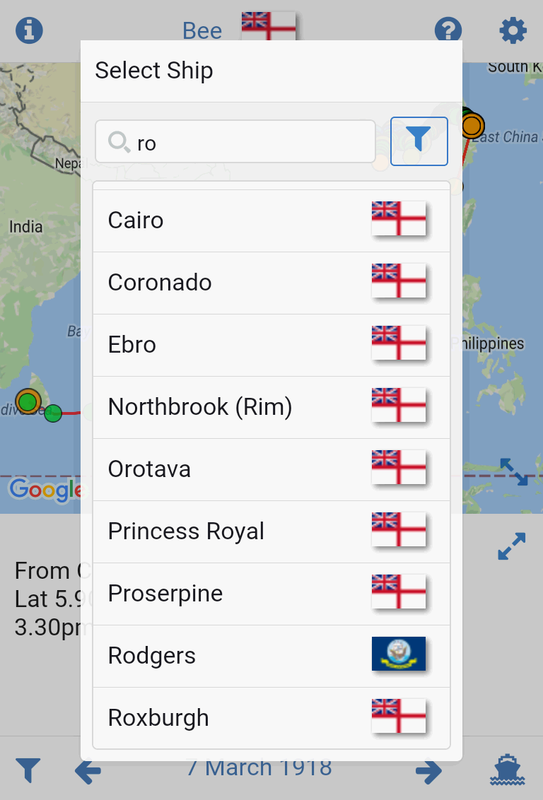 I’m proud to present to you Journey Plotter Mobile, made possible by the Onsen UI. 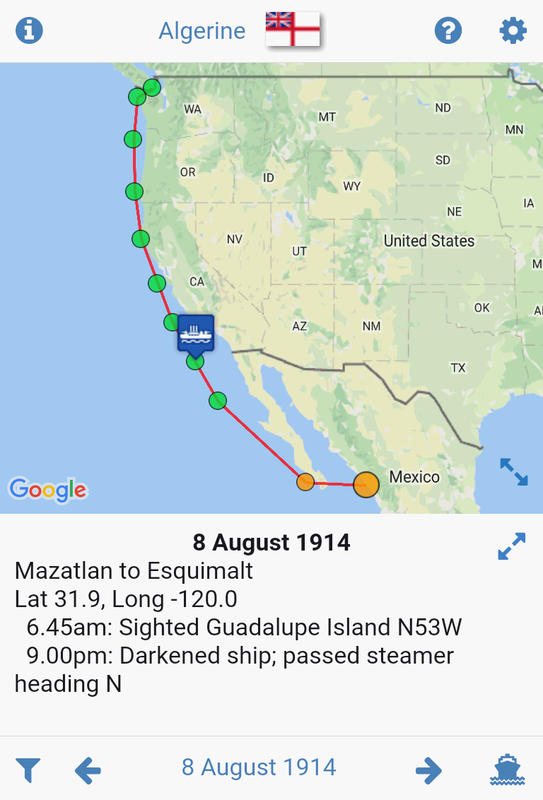 Journey Plotter is an application for visualizing journeys of Royal Navy vessels of the World War 1-era, or Arctic voyages of United States vessels from the mid 19th century onwards. 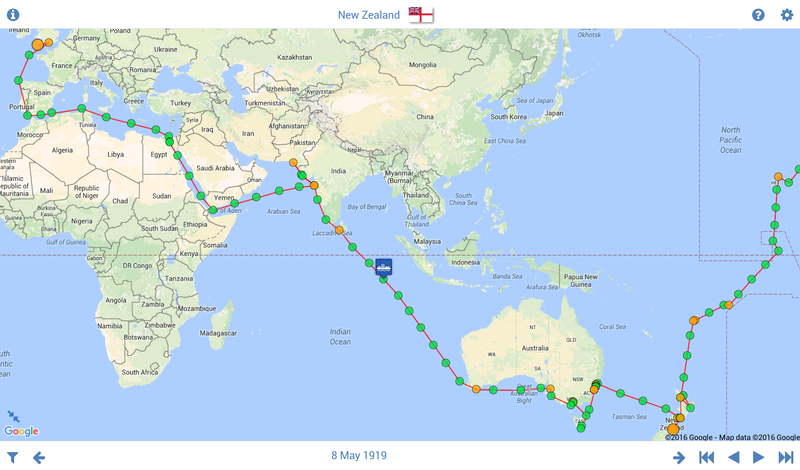 For a given day, you can see the ship’s position and read the log-book entries that describe activities on board. 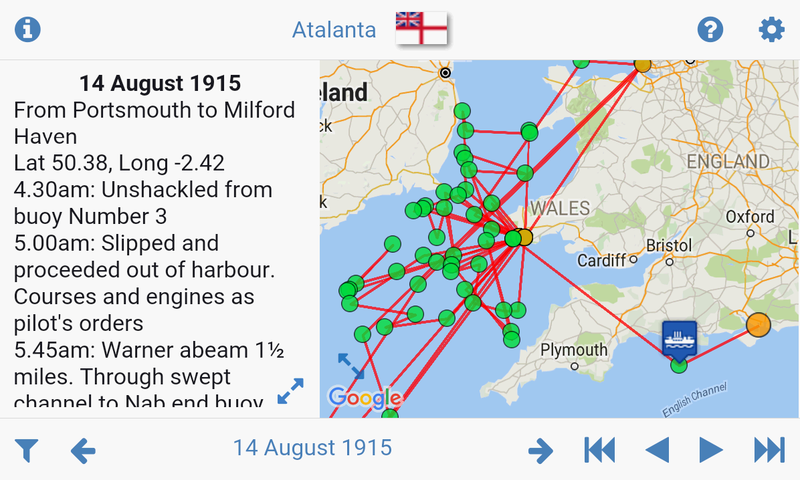 Journey Plotter makes use of data from original Royal Navy and United States log-books that has been digitised and then made available by Naval-History.Net (http://www.naval-history.net). 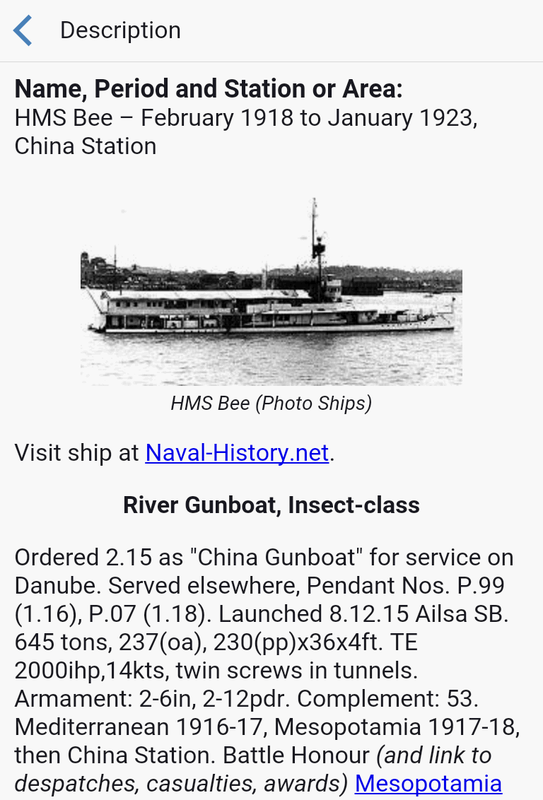 The log-books have been transcribed by volunteers on the Old Weather (http://www.oldweather.org) project and edited into a more readable form by volunteers on the Naval-History.Net project. Get the FREE version of JP-M on Google Play (https://play.google.com/store/apps/details?id=mn.jp.jpfree). There’s also a PAID version, it has the same functionality, but is ad free. It’s also on Google Play (https://play.google.com/store/apps/details?id=mn.jp.jp). I’ve used Onsen UI v1, wanted to wait with UI v2 until it’s out of Beta.